Your radio is only as good as the battery that powers it. When your job demands a radio to work as hard as you do, communication is vital and lost communication can impact the performance and safety of your organization — whether you’re operating an industrial facility, serving customers in a hotel or helping to save lives. 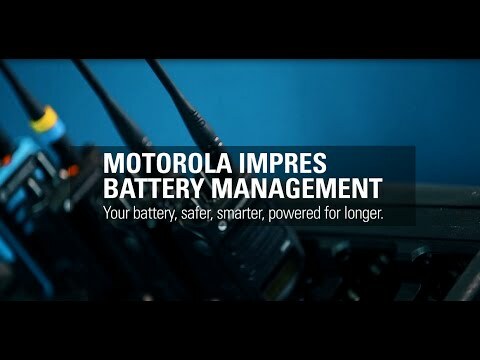 Motorola Original® batteries offer industry-leading specifications and workmanship warranties that allow your radio to operate safe, smart and power for longer. and a longer life cycle from your Motorola rechargeable battery. Charge your new battery overnight before using it. This is referred to as INITIALIZING and will enable you to obtain maximum battery capacity. a. Nickel Cadmium or Nickel Metal Hydride: 14-16 hours. a. Nickel Cadmium up to 2 years. b. Nickel Metal Hydride up to 18 months. 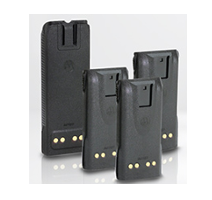 c. Lithium Ion/Polymer up to 18 months. b. Lithium Ion/Polymer: 1 to 2 additional hours after the charger light turns green. When using a Motorola rapid charger, leave the battery in the charger for an additional 1 to 2 hours after the steady green light appears. Do not leave your radio and fully-charged battery in the charger when not charging. Continuous charging will shorten battery life. Only charge a battery when it needs it. If it is not fully discharged, do not recharge it. We suggest that you carry a spare. This is the most cost effective solution for users requiring longer operating time.